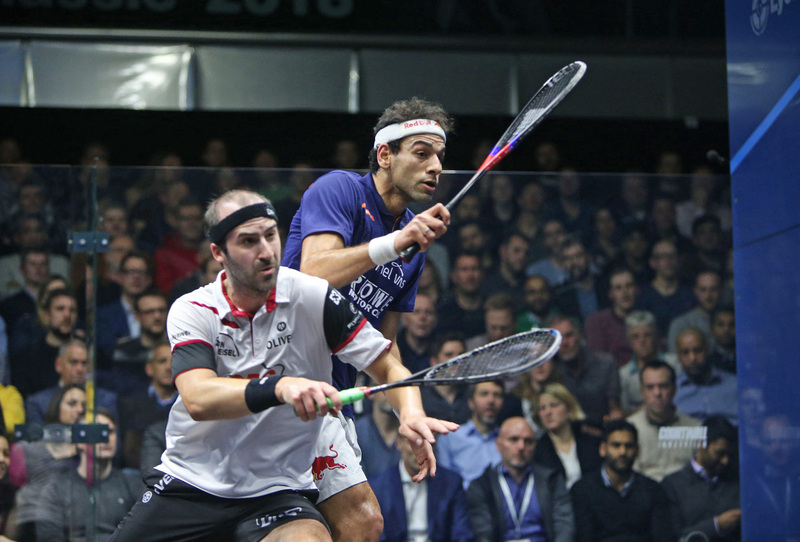 The main draw of March’s Citigold Wealth Management Canary Wharf Classic was released today, with World No.1 Mohamed ElShorbagy set to begin his title defence against either fellow Egyptian Omar Mosaad or Spain’s Borja Golan at London’s East Wintergarden. ElShorbagy made his return to the PSA World Tour Gold tournament after a five-year absence last March and battled through a top-class draw to become the first Egyptian to get his hands on the prestigious trophy. Along with the rest of the top eight seeds, ElShorbagy will receive a bye into round two, where a win over former World No.3 Mosaad or Golan could pit him against younger brother Marwan ElShorbagy in the quarter-finals. “We are delighted to see a truly world class field grace this year’s event. It fantastic to have the World No.1 top the draw in our first year as title partner of the tournament and we are sure there is going to be some amazing squash for the fans in March,” said Mirka Potrykus, Marketing at Citigold Wealth Management. The 2018 runner-up Tarek Momen is seeded to meet Mohamed in the last four, but will need to negotiate a draw which also features Germany’s Raphael Kandra, four-time winner James Willstrop and No.8 seed Ryan Cuskelly. No.2 seed Simon Rösner is on the opposite side of the draw as the ElShorbagys. 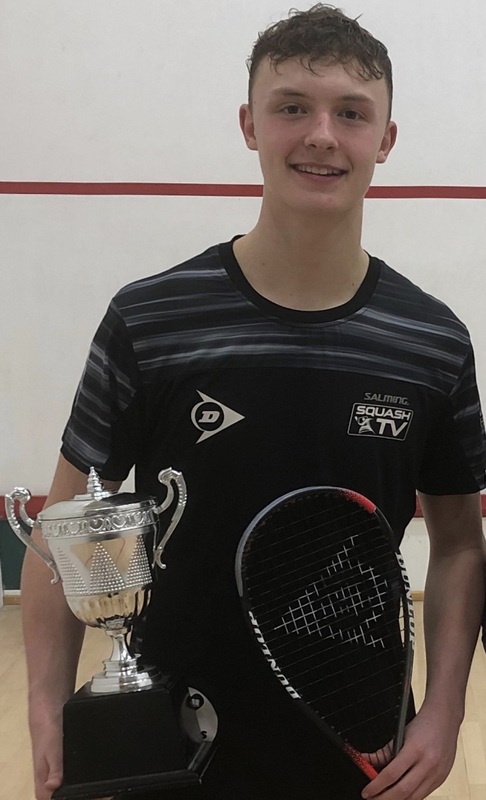 The World No.4 will contest his round two fixture with either 2016 champion Mathieu Castagnet or tournament wildcard Sam Todd, the Under-17 British Junior Open runner-up who hails from Pontefract who last weekend became the youngest winner of the British Under-23 title at Roehampton. It will be a massive tournament debut for Todd (right), who is sure to receive noisy backing from the sell-out Canary Wharf crowd. The 2017 runner-up Fares Dessouky is seeded to play Rösner in the quarter-finals, while World No.6 Paul Coll – the New Zealander whose stunning retrievals against Willstrop saw him go viral during the 2016 Canary Wharf Classic – and Hong Kong’s Max Lee also feature. In addition to Yorkshiremen Willstrop and Todd, there will be a quintet of Englishmen in action, with Colchester’s Daryl Selby, Hersham’s Tom Richards, Nottingham’s Declan James, Leicester’s George Parker and Enfield’s Adrian Waller all competing. Waller will be relishing a return match-up with Kandra, who he beat in this week’s Motor City Open in Detroit. James faces a Battle of Britain against Scotland’s Greg Lobban, while Richards is paired with hard-hitting Australian Cameron Pilley. Parker faces a fascinating battle with the vastly experienced Selby, while Willstrop features in what could be the most entertaining match of the day, pitting his skills against the adventurous Mazen Hesham of Egypt. Welsh number one Joel Makin, who was injured in the recent Tournament of Champions, will be keen to do well against Gregoire Marche after being forced to withdraw while on the verge of an epic victory against former world champion Karim Abdel Gawad in New York. The 2019 Citigold Wealth Management Canary Wharf Classic takes place between March 10-15 and will see a best-of-three games format trialled for a second successive year up until the semi-finals. All of the action from East Wintergarden will be shown live on SQUASHTV (rest of world) and Eurosport Player (Europe only). Semi-final fixtures will also be broadcast on BT Sport, Fox Sports Australia, Astro and more. Follow the Citigold Wealth Management Canary Wharf Squash Classic on Twitter or visit the tournament website. 2019 Citigold Wealth Management Canary Wharf Classic, East Wintergarden, Canary Wharf, London, England.